32in TV w/ Dish Network, Has 2 recliners. What comes with your Fish House? 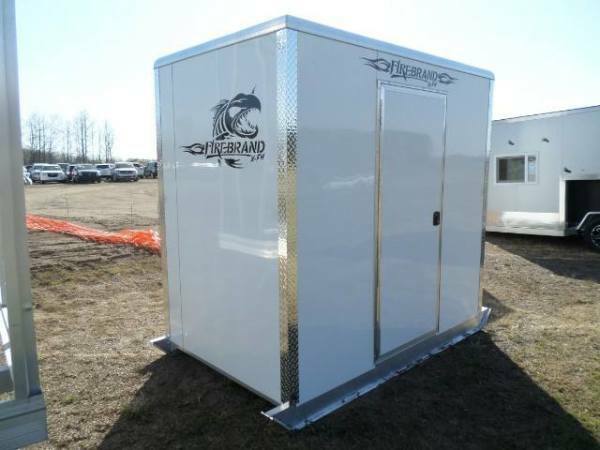 Outdoor Authority Fish House Rentals has established itself as a trusted fish house rental company on Upper Red Lake in Northern Minnesota. Ice fishing season usually starts in early December with walking out to nearby locations by foot. It then transfers into ATV traffic around December 14th and typically has truck traffic and the fish house out before Christmas of each year. Each year is a little different as we are under Mother Natures clock. It finally ends with the close of walleye season at the end of February. 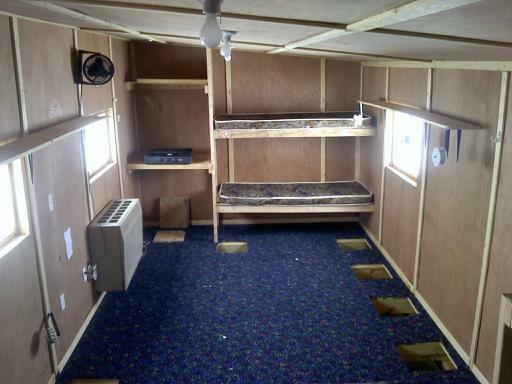 The location of Outdoor Authority Fish House Rentals makes it one of the ideal destinations for your ice fishing. It is located along the northern shore of Minnesota's famous Upper Red Lake. 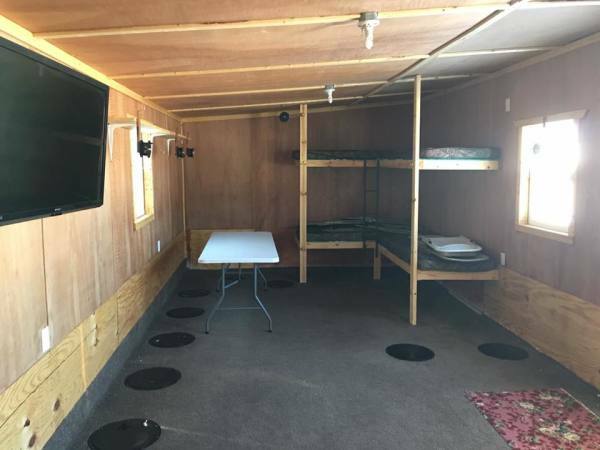 Outdoor Authority's fish houses have been cited for being "roomy" and with high-quality amenities. 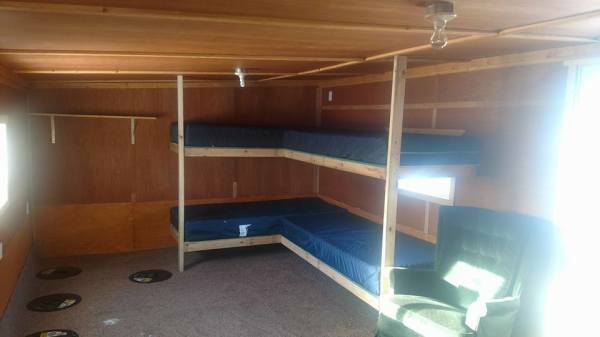 Their houses are clean, orderly, well-heated, and with ice fishing holes drilled and ready to be used upon the customers' arrival. 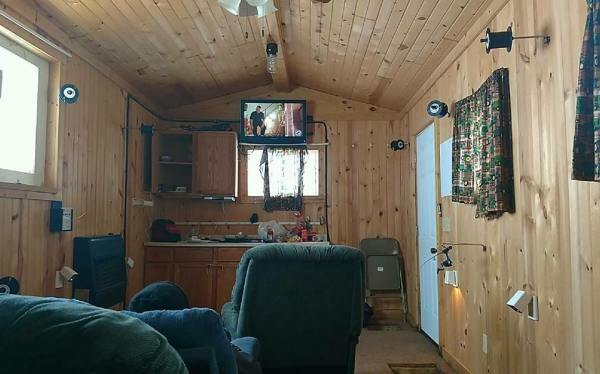 The company uses Honda 2,000-watt generators to provide power for each and every sleeper fish house to provide bright lights to see, charge your electronic devices and provide power to a tv with Dish network connection to watch the game or your favorite show. 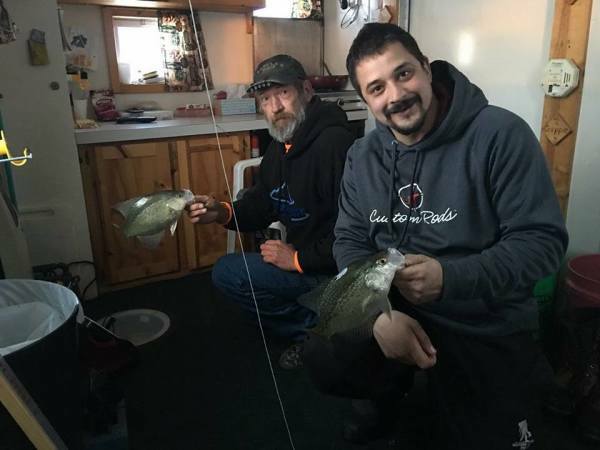 These readily available options will ensure that ice fishing fans won't have to rough it when they engage in their favorite activity. These are not options but included. Check in is any time after 12:00 (noon) of your arrival date and check out is 10:00 am on your departer date from Beacon Harbor Resort on the North East Corner of Upper Red Lake. Outdoor Authority Fish House Rentals sets itself apart from its competitors through outstanding customer service and huge fish houses. The company's interaction with its customers goes beyond providing them with accommodations. You come as a client and leave a friend. If it heats, warms or cooks, it is NOT allowed. These high watt items can cause the generators to overload. If you would like to bring these items, you will need to provide your own generator and fuel for the entire duration of your stay.